The AJ wall lamp creates direct and angled illumination. The lighting characteristics make it suitable when placed in a situation where distinct and direct illumination is required. 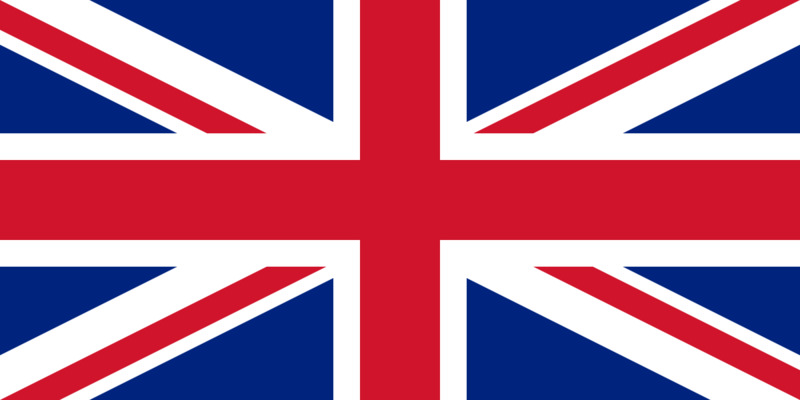 The head can be rotated 60 degrees. 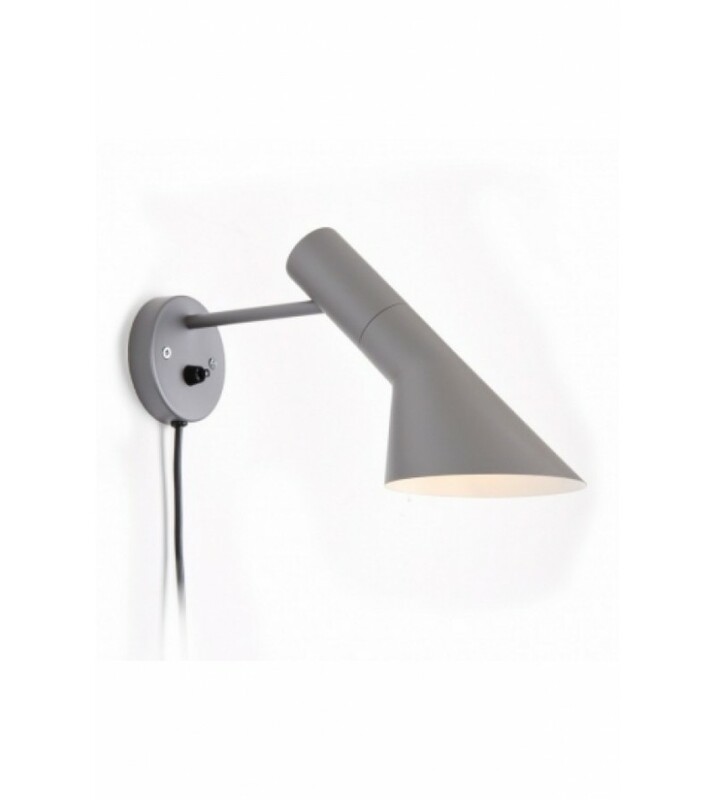 The AJ wall lamp comes in variety of colors, which allows for perfect blending or complimenting of the room decor. 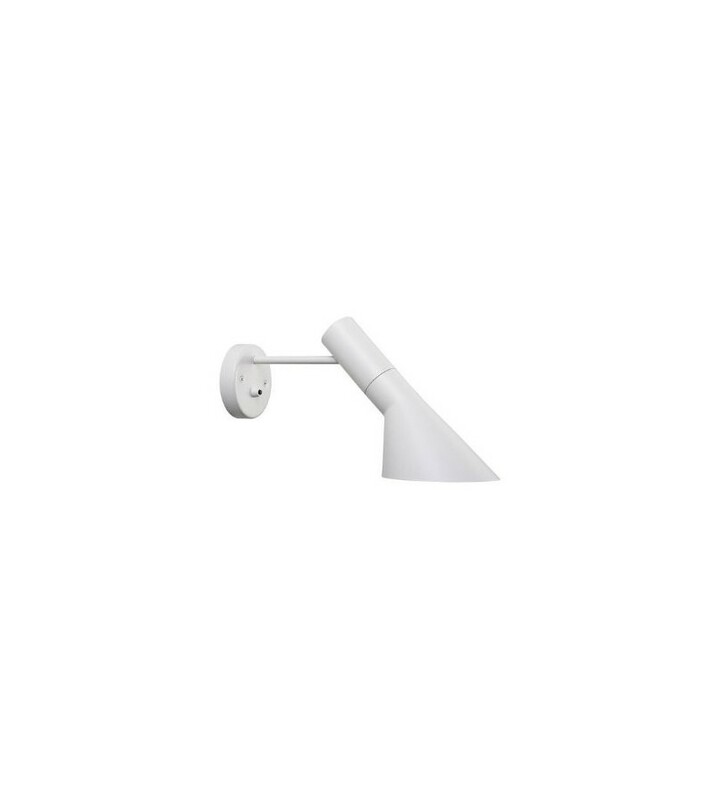 Arne Jacobsen's AJ wall lamp makes for a perfect desk lamp, library lamp, study lamp, office lamp, wall light or above the bedside table where it can be used as a functional reading lamp. 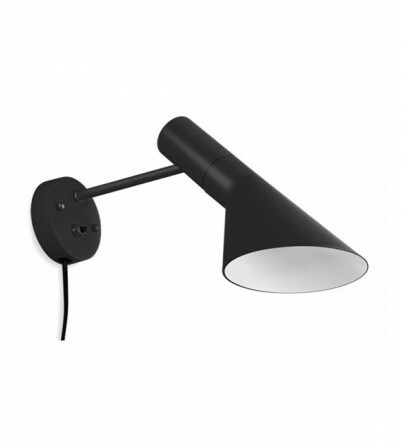 It can also be used as an outdoor wall lamp, under awnings, since it is rated for damp locations. 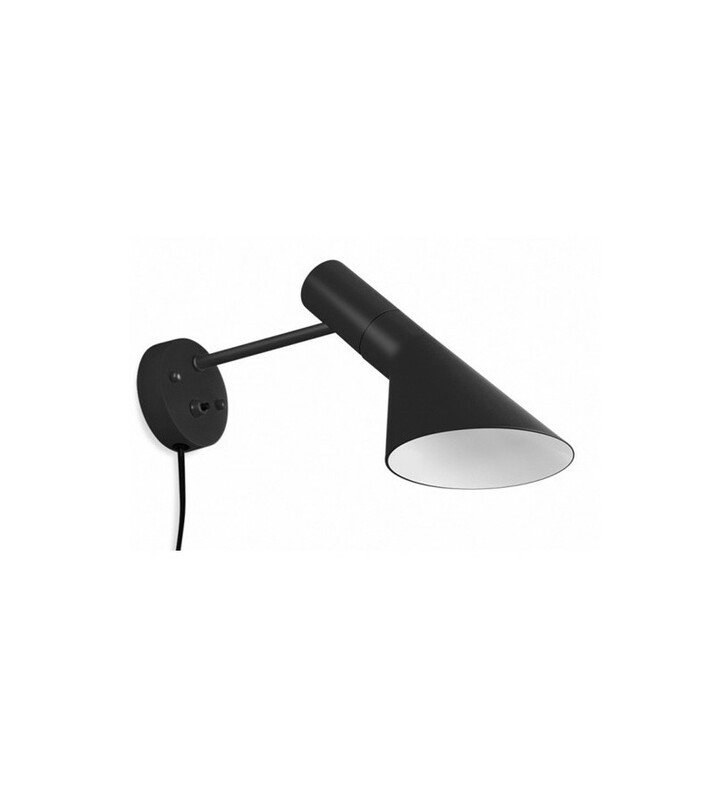 The AJ wall lamp is made from spun steel with a base in a spun aluminum and an arm is in steel. The on/off switch is located on the wall box.